Whether you want to surprise a small allotment owner or a farm worker, one of our Personalised Hessian Vegetable Sacks would be the ideal gift. 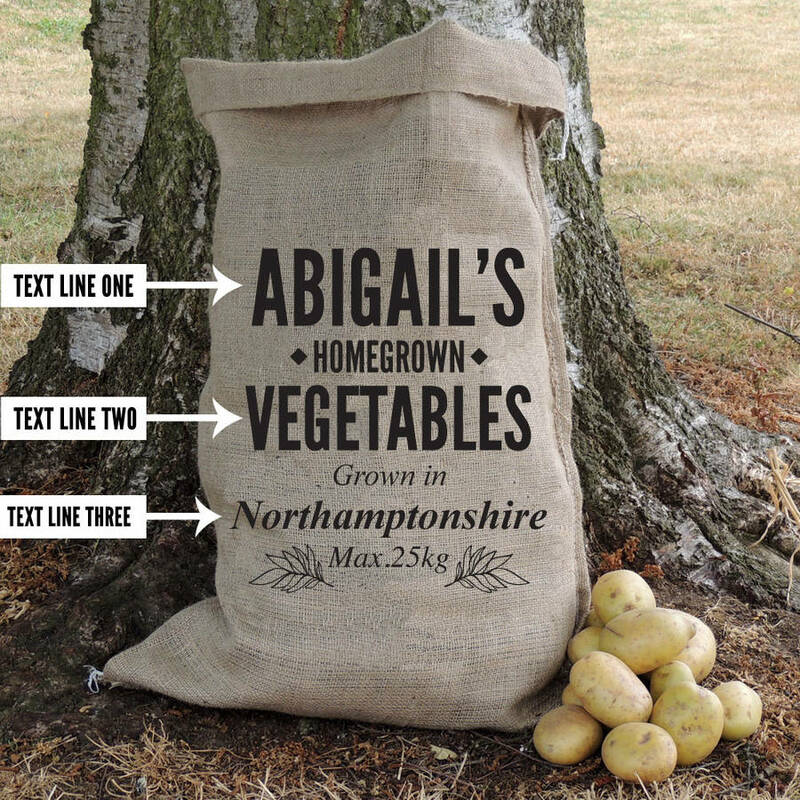 With the capability to personalise both designs with a name, vegetable and location of your choice (16 characters maximum per line) for that extra special touch, our Personalised Hessian Vegetable Sacks are the perfect agricultural gift. 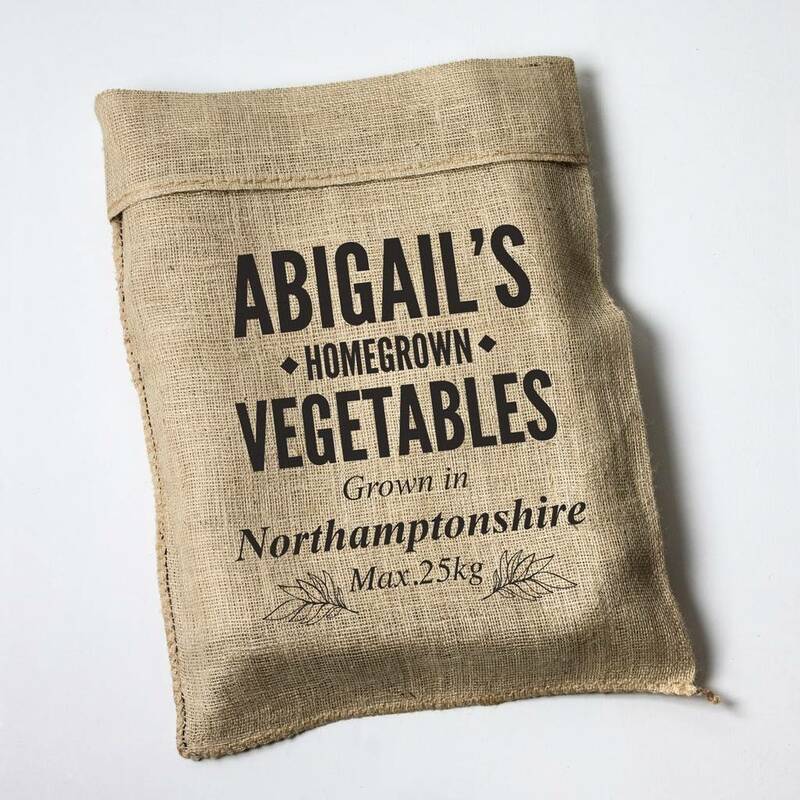 Stylish, yet practical, our Personalised Hessian Vegetable Sacks are made from hessian and measure at a spacious 50cm x 80cm. 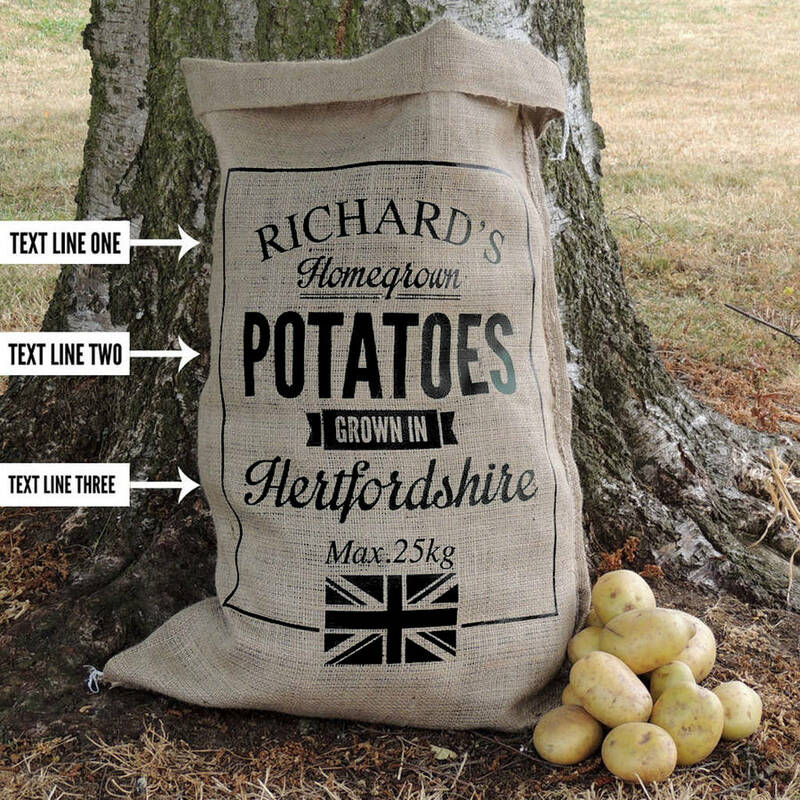 Each sack can hold a maximum weight of 25kg. 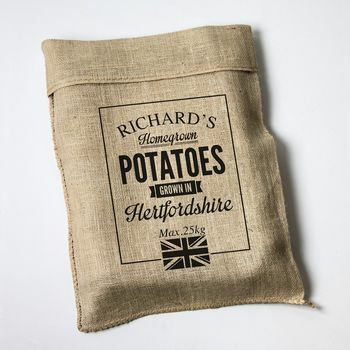 Each of our Hessian sacks is hand-pressed with either black, brown, dark green or red vinyl. We use heat to bond the vinyl to the Hessian in a technique similar to that used to create numbered football shirts and kitbags. Two designs available. Both designs can be personalised with a name, vegetable and location of your choice.